FingerTec has so far proven that their devices are fit for armies and airports; now FingerTec conquers the education industry! 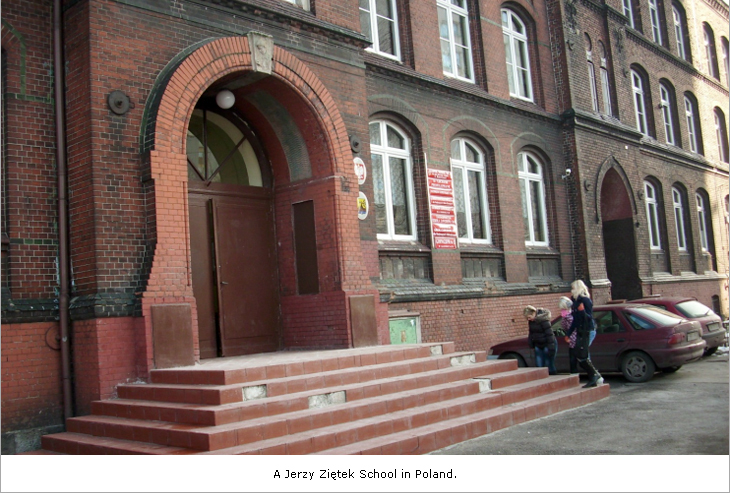 The Jerzy Ziętek Schools Group in Poland now employs FingerTec readers, R2 & R2i to be exact, as their access control system for the school. The Director of the school wished to improve the safety of the students, while monitoring the movement and attendance of all their 850 pupils. For this reason, the school approached The Carbomad Company, our FingerTec reseller in Poland, whom provided them with the FingerTec solution for the school. Now, students can enter the school by just a scan of their fingerprint, and administration has eased up with the use of the TCMS V2 software to track and monitor attendance. “By using these solutions, the safety and punctuality of the students has been significantly increased” commented Carmobad staff, Adam Kozdra, on the subject of his client. As a result of this installation, other schools in the region of Silesia, Poland are looking into, and will be implementing systems such as these in their schools soon.